He added, “this is a vote that looks to the future and an opportunity to think about the city for the next generation”. Rome abandoned a 2020 Olympic bid mid-campaign three years ago due to financial concerns when the Prime Minister refused to underwrite guarantees. The new bid comes with Italy’s economy still stagnant and with new revelations surfacing in a scandal that has been reportedly labeled “Mafia Capital”. There were phone conversations intercepted by police and published in the media describing how local criminal bosses managed to cement ties with city politicians over lucrative public contracts and dozens have been arrested. Rome’s new bid is expected to include many of the venues that were used for the 1960 Games including the Foro Italico complex that includes an athletics and football stadium, as well as swimming, diving and tennis facilities. 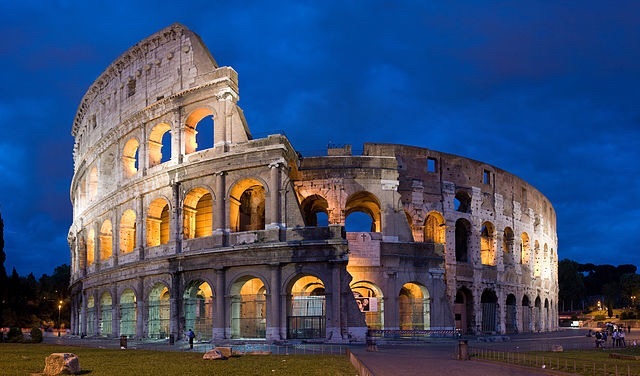 Rome’s bid is considering a budget of six billion euros ($6.7 billion), roughly half of what London spent in 2012. Marino said, “together, beginning with this vote, we’ll learn to win this challenge and bring this event to Rome with the goal of transforming the city, curing old urban wounds and making our beautiful capital more livable, welcoming and modern”. Paris announced its candidacy for the 2024 Games Tuesday and other declared bidders are Boston and Hamburg with Budapest expected to join officially in July. There has also been talk of current European Games host Baku and potentially Doha entering the race before the September 15 deadline. Many bookmakers have put Paris at the head of the pack while the positions of the other candidates vary. Paris was also the bookmakers’ favourite for 2012 that was eventually won by London. The IOC is to select the host city in 2017 at a session in Lima, Peru.